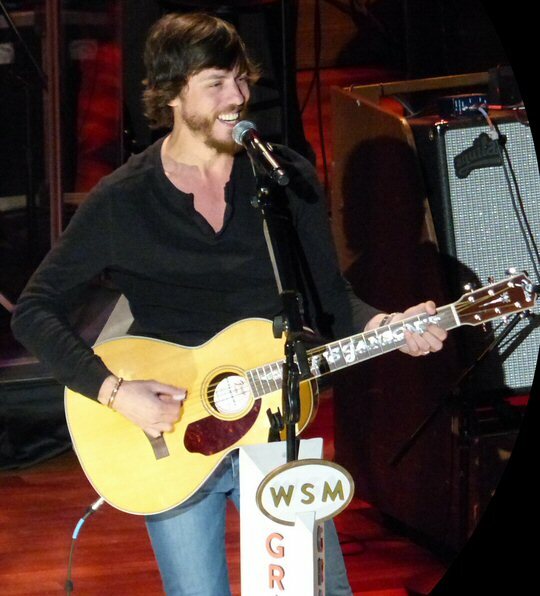 On Friday January 06, 2017 Chris Janson headlined a Grand Ole Opry concert that featured both young and senior musicians. 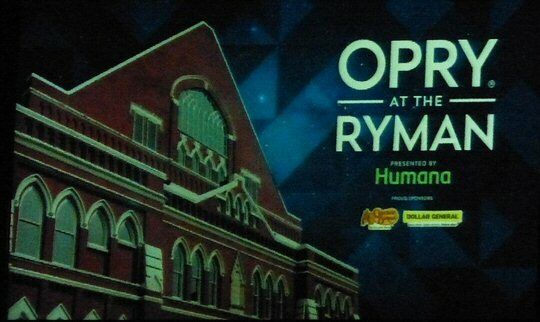 It was a bitter cold, snowy night in Nashville, Tennessee but that did not stop an almost capacity crowd from going to the Opry at the legendary Ryman Auditorium. The Grand Ole Opry has a strong tradition of introducing up-and-coming artists on their famous radio show and stage. The Opry's four sets are a combination of well-established Opry members and next wave artists who are hoping to join that exclusive circle. Many of the newcomers commented on how they grew up listening to the now longest-running radio program and mentioning that it's a dream come true to play at the Opry. Chris Janson is an American country music singer and songwriter. Chris has penned singles for Tim McGraw and played harmonica for Lee Brice but he is also doing well as a solo artist. His "Buy Me a Boat" (2015) single was a top hit on the Hot Country Songs & Country Airplay charts. Janson is continuing to build on that momentum. Nashville Gab wrote that Chris Janson "is explosive on stage and completely unpredictable. I compare his live set to a wild horse, it's not meant to be tamed. He brings a blue-collar, redneck edge to every show that seems to be lacking in country music these days. Chris Janson is the future of country music." The well-respected Vince Gill gave Chris Janson a warm introduction. Chris opened with the rocking country flavored "Buy Me a Boat" that included some heavy harmonica playing. Later during his harp solo he did some windmills enhancing his energized segment. Chris shared the story of how he meet his wife and bonus (not step) children declaring that he is a "happy dad and a happy Christian." This was a fine lead into his beautiful love song "Holdin' Her". Janson easily connected with the crowd with his personality and potent live performance. Chris Janson should get a Red Bull endorsement joked Vince Gill who closed the show with his own powerful acoustic piece about when his wife Amy (Grant) prays. Other Opry regulars who performed on Friday night included Bill Anderson, Connie Smith, Jeannie Seely, Mandy Barnett and Mike Snider. Bobby Osborne & The Rocky Top X-Press played their fun name sake song which is also one of Tennessee's most popular state songs. Carly Pearce, Vince Gill and High Valley rounded out a packed night in Nashville. In the summer of 2015 Carly Pearce was cited by Rolling Stone as 1 of 10 New Country Artists You Need to Know. She has been described as a raspier Trisha Yearwood with a touch of Roseanne Cash who was chosen by producer Busbee to be his first country artist to mentor. Carly has already performed at the Opry numerous times and she captivated the crowd with her fine song craft and singing about a guy who broke her heart. Carly is sure to be back at the Opry and who knows perhaps in the future she might receive that coveted invite. Following the spiritually-inclined The Whites was brothers Brad and Curtis Rempel who call themselves High Valley. Their modern music has bluegrass roots thus their songs are fresh yet timeless. They took the stage requesting that the audience stand and clap along to the feisty "I'll Fly Away". The handsome duo armed with acoustics continued to engage the crowd with "Make You Mine". There set was well received by the Opry crowd. The Grand Ole Opry has a rich history to preserve yet at the same time the Opry showcases artists who may not fit the mold of "traditional" country music. The Opry is known for supporting multi generations of performers who play to audiences just as broad. A bill with newer artists such as Chris Janson, Carley Pearce and High Valley paired with long standing members such as Vince Gill and Diamond Rio is proof that the Opry is committed to preserving yet propelling country music into the future.